Talented musicians can make creating beautiful music seem easy, due to the years of practice and discipline they acquire to hone their skills. But it would be hard for any musician to play well if he had to carry his music in his hands while managing his instruments. That is where the music stand becomes so valuable. You do not need years of training and practice to create one of these. In fact, creating a wooden music stand can be a very exciting and engaging project. Mark off four, identical 1 foot long sections on one of the two-by-four boards using the tape measure and marker. Saw the board into the four individual sections with the circular saw. Reserve the remaining wood from this board for later use. On each section, draw an identical leg design. The design can be as simple or as elaborate as you desire, but it must be the same design for each board. Cut out the leg design from each board using the band saw. Leave 1 square inch of wood at the top left of each leg design as a connector so the legs can be attached to the base. Mark three 2 1/2 foot sections onto the other two-by-four. Saw the board into the three pieces and discard the excess wood. Next, saw one of those pieces in half lengthwise. Set these pieces aside. Take the three-by-three sheet of plywood and measure off a rectangle with a size of your choosing. It can be as large or as small as you desire. 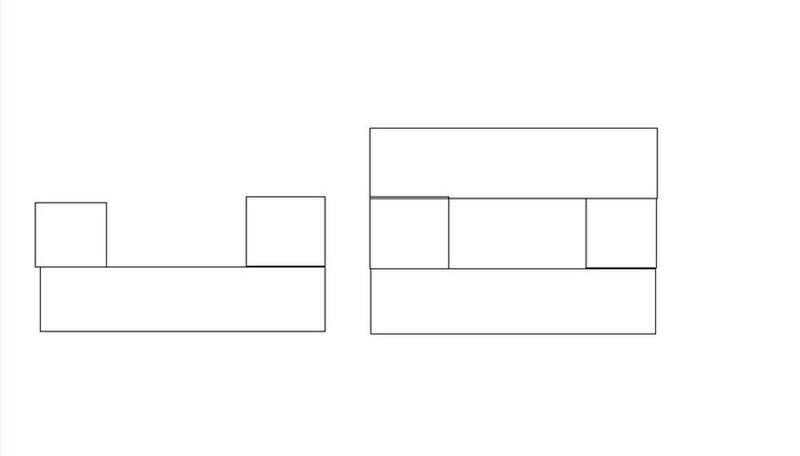 Cut a 1 or 2 inch wide piece (whichever width you want) off of the board that is the exact length of the rectangle. Put together the central column of the music stand. Retrieve the pieces from Step 3 of Section 1. Lay one of the 2 1/2 foot pieces down flat. Glue the two cut halves to the 2 1/2 foot piece lengthwise, one on each side. Then, glue the last 2 1/2-foot piece on top of those. Nail the pieces at the top and bottom to hold them together while they set. You should now have a long, rectangular wooden column with a hollow interior. Cut a piece to fit inside of the long wooden column. Measure the height and width of the hollow portion of the column. Then, cut a piece of wood to those dimensions from the reserved wood from Section 1, Step 1. This piece also should be as long as the rectangular column. It should fit inside snugly. Insert the interior piece into the hollow column. Its best to have two people to accomplish this step. However, if only one person is completing this project, a wood clamp must be used to hold the piece in place. This will be the adjustable portion of the music stand. Pull this interior piece up about 1 1/2 feet out of the column. One person will hold this piece while the other (an adult) uses the drill to make five vertical holes in the structure, about 2 inches apart, drilling through all three pieces of wood. Or, use the clamp to hold the wood 1 1/2 feet out of the column. The holes should line up perfectly. Now, remove the interior piece to be used in the next step. Retrieve the parts from Step 4 of Section 1. To create the platform for the music stand, glue the 2 or 3 inch piece to the bottom of the board that was cut to desired specifications. The piece should be attached so it sticks out an inch or two. Nail each end firmly and allow to set. Take the piece that fits in the interior of the hollow column and grab the end that has no drill holes. Measure and mark off 1 inch of wood, then saw that inch at an angle, so a triangular piece is removed and the end is angled like the end of a marker. Nail and glue this end to the now-set platform, so it sits at an angle. Allow this to set. Insert the dowel through the holes of the music stand. It should slide through easily. Measure the dowel off so about 1 inch of wood extends through the hole on one side. Cut the dowel at the marked line. Set this piece aside. Retrieve the very first set of pieces that were cut, from Steps 1 and 2 of Section 1. Lay the hollow column piece with the drilled holes on a flat surface. Take one of the identical leg pieces and hold it vertically up against the bottom of the hollow column (the end opposite of the drilled holes). The 1 inch connector of the leg piece should be touching the column and should be held such that it is directly in the center of the wood (not touching either side) and is about 2 inches from the other edge. Trace around the edges of the 1 inch connector. Repeat this process on all sides of the column. Cut out these traced-out, rectangular areas on all sides. Insert the 1-inch connectors of the four leg pieces into the holes at the bottom of the hollow column, for the final assembly. The column should stand up straight with the support from the legs (see Tip). Insert the platform and interior piece into the column, stopping it at your desired height with the dowel piece. Sand the edges of the stand, if desired. Paint with wood stain, then varnish and let dry. If the dowel does not fit the hole exactly, try using a 3/8 inch size if it is too small, or a 1/8 inch size if it is too large. The directions for this stand will create a very plain-looking object. It is up to your discretion to be as creative as you desire in cutting the platform piece or any other piece. If desired, glue the legs in place to add stability. Be very careful when using power tools such as the circular saw and band saw. Follow all directions carefully and seek assistance when necessary.